Want to keep up to date with the Olympics in London? The Library has created an innovative mash-up that integrates automatic updates of medal standings with Google maps, statistical data and historical images of the Olympics from Library collections. Olympic Watch uses RSS feeds to provide instant updates of medal counts as they are reported on the official Olympic website. Users will also be able to view the geographic location of the country, as well as statistical data and selected images. Olympic Watch has been designed for viewing on a wide screen, so please drop by the Library to view it on the LCD panel in the Library lobby throughout the Games. 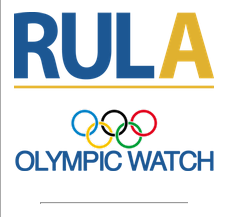 To learn more about Olympic Watch please contact Dan Jakubek, Map and GIS Librarian. Keep up to date with Paralympic Watch! Want to keep up to date with the Paralympics in Vancouver? The Library has created an innovative mash-up, Paralympic Watch, that integrates updates of medal standings with Google maps, statistical data and historical images of the Paralympics from Library collections. In addition to medal standings, users will also be able to view the geographic location of the country, as well as statistical data and selected images. Please note that Mozilla Firefox is required to view Paralympic Watch. Paralympic Watch has been designed for viewing on a wide screen, and is viewable on the Library 4th floor. To learn more about Paralympic Watch, please contact Graham McCarthy, Innovative Technologies Librarian or Dan Jakubek, Map and GIS Librarian.